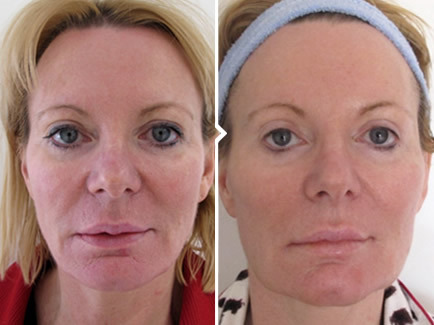 We offer One Stitch Facelift from our clinic in Glasgow. The Silhouette Soft Lift is a new procedure designed to lift the skin of the face and neck. The procedure has sometimes been dubbed the ‘one stitch facelift’, although this is technically inaccurate since we normally use two or three stitches on each side of the face / neck to achieve optimal results. The procedure can be used to lift any part of the face, including the forehead, cheeks, jowls, jawline and neck. In practice, I find the stitches to be most useful in the lower face and neck, where other non-surgical techniques usually provide less satisfying results. and marking out where each suture – or stitch – should be placed. Some local anaesthetic is then injected to make the procedure a pain free experience. The stitches contain small cones along their length (similar, if you like, to barbed wire) and are inserted using long needles. After the stitches are in place they are then pulled back to re-suspend the skin and soft tissues, whilst the small cones along their length anchor the tissues in their new – more youthful – position. The benefit of this technique is that it is a truly minimally invasive way of lifting the skin. Previous ‘thread lift’ techniques have used small incisions behind the hairline and behind the ear to insert the sutures and so have been associated with significant bruising, swelling and ‘down time’ afterwards. 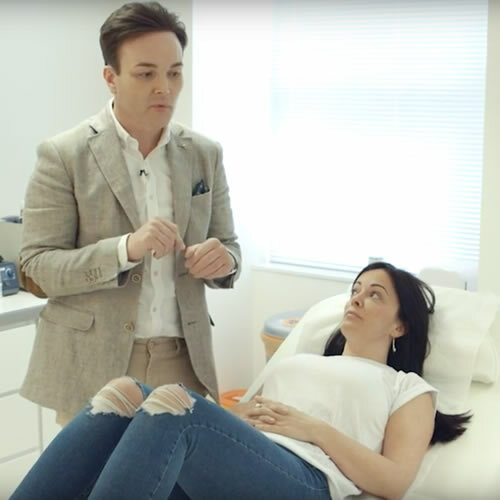 The Silhouette Soft lift however has no cutting or scarring and very minimal down time – most patients resume normal activities immediately and go back to work the very next day. Immediately afterwards you will have a series of needle marks on each side of the face. These will remain visible for the rest of the day although most people are able to cover them up the next day with make up. You may experience some bruising and swelling around the sutures, although this tends to be relatively minor and short lived. For up to a week after the procedure it may feel tender around the sutures. If necessary, you can take some simple paracetamol to help with this although most patients do not bother with this step. You will be able to feel the stitches and the anchoring cones beneath your skin especially when you apply your skincare products or make up, although you should not be able to see them. The results are expected to last around 18 months, at which point you can – if you wish – have the procedure repeated. The treatment is ideal for typically younger patients who have mild to moderate skin excess. In older patients who have extensive skin excess the threads are not strong enough to provide a lasting lift and other treatment options may be more appropriate. I published my first paper in a medical journal, the British Journal of Cancer, in 2004 whilst I was still in my final year of medical school. Since then I have continued to work on aesthetic medical research. 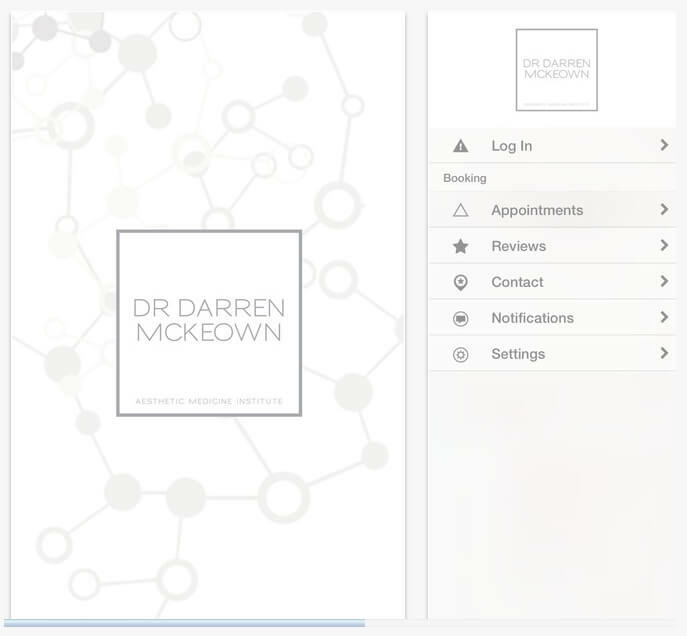 Booking your next appointment at the Dr Darren McKeown clinic just got easier! We are excited to announce the launch of our new app, available for free download from the App Store now! 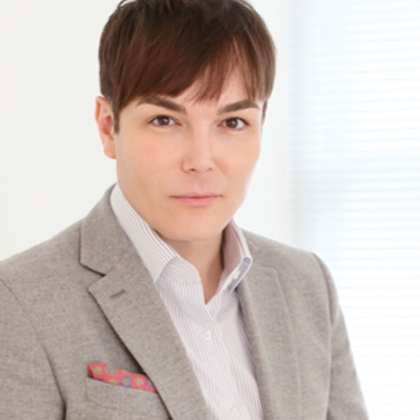 At his Aesthetic Medicine Institute Dr McKeown not only strives to offer patients the most cutting edge techniques, but to do so in an warm, welcoming and relaxing environment. 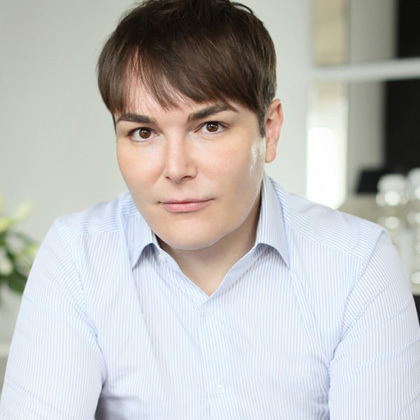 If you would like to know more about any of our treatments please feel free to call us on 0141 370 0509. Alternatively, you can fill out the contact form below and someone will get back to you within 24 hours – and usually much sooner. If you are ready to go ahead an schedule an appointment you can either do it online using the form below, or download our app.